LAPTOP NOTEBOOK COMPUTER SECURITY CABLE LOCK. The lock has a 4-wheel number code that can be set to any of 10,000 possible combinations and is easily resettable. Kensington Combination Portable Laptop Lock. Security cable lock. Product Type: Security cable lock. 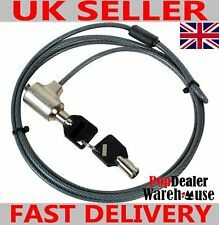 Kensington Keyed Cable Lock for Surface Pro, 6 ft Carbon Steel Cable, 2 Keys - Sold as 1 Each. Lock Type: Key; Body Material: Zinc Alloy; Color(s): Black; Body Width: 17.5 mm. • Non-Invasive locking technology provides easy-to-use security solution that requires no device modifications, preserving the Surface Pro’s hardware. It recognizes your fingerprint, providing an easy yet secure way of accessing your Mac. Simply install the included protector suite software on your Mac plug the Eikon to go into your USB port and swipe. Kensington Laptop Locking Station 2.0 with MicroSaver 2.0 Lock 64453 - Sold as 1 Each. Lock Type: MicroSaver® 2.0 Keyed Lock; Body Material: Zinc Alloy; Color(s): Silver; Body Width: 10 mm. • Non-invasive locking technology requires no hardware modifications to the laptop, preserving your laptop's aesthetics and hardware warranty. Fingerprint sensor. Precise DC010106 Precise 250 MC - Black. Precise Match-on-Card. 8 pairs of matching Avdex keys. This is for a lot of 9 Computer/ Notebook Locks. Extra 154" (12.8foot) cable. 2 (44") Cables with the smaller lock on one end. Keys work on every cable. The YubiKey 5C combines hardware-based authentication and public key cryptography to eliminate account takeovers. Simply insert into a USB-C slot and authenticate with a touch. Supported protocols: FIDO U2F, FIDO2, smart card (PIV), Yubico OTP, OpenPGP, OATH-TOTP, OATH-HOTP, and Challenge-Response. Kensington notebook security cable Microsaver. Fits 95% of all notebooks. Patented T-bar protection and lock makes it difficult to break the lock out of the slot. Length 1.80 m. This system allows for you to get the longest dated and genuine products available. Protégez votre ordinateur portable et ses informations confidentielles grâce au câble de sécurité à combinaison à lettres WordLock®. Le câble enrouleur s’étend jusqu’à une longueur de 1,8 m et peut être réduit à 7,6 cm pour un transport facilité. We will be happy to assist you. · Wire Transfers. Tech Data Product Data Sheet - Compulocks iPad Secure Executive Enclosure Black(213EXENB). Compulocks iPad Secure Executive Enclosure Black - mounting kit. Mounting ComponentsMount bracket,executive enclosure. This is an Aladdin Green Key USB Security Dongle RRO HASP HL MAX. 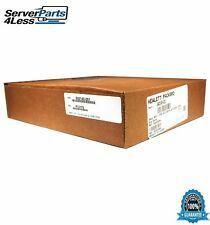 This item has model number H4M4, and part number 217-50. This item is new and has never been used. If you are unhappy with one of our products, you can send it back as long as you follow these basic rules. Batterien dürfen nicht in den Hausmüll gegeben werden. Sie sind zur Rückgabe gebrauchter Batterien als Endverbraucher gesetzlich verpflichtet. Schützen Sie Laptop und persönliche Daten unterwegs mit dem Portable-Laptopkombinationsschloss von Kensington. Dataflex 20 622. 20.622Â -Â Anti Theft Laptop Drawer 622Â 20.622Â -Â Anti Theft Laptop Drawer 622. Drawer Silver. Protection Laptop Notebook. Multi-piece security - the anchor plate adheres to a flat surface and is designed to secure a device that does not have a Kensington security slot, the two adapters secure devices with a Kensington security slot and the cable trap secures your wired keyboard and mouse. Kensington Fingerprint Key f/Windows Hello 3/5"Wx1-1/5"Dx2/5"H 67977 - Sold as 1 EA. Compact design easily attaches to a standard keyring for convenient portability. Kensington MiniSaver cable lock from Lenovo. The MiniSaver features Cleat Locking Technology, which can be inserted into any device that includes either the Kensington Security Slot or the Kensington Mini Security Slot. The T-Bar provides a tight fit with the Kensington Security Slot. A rubber bumper ensures a snug fit between the lock and the security slot and protects your hardware. A further deterrent is the tamper evident feature. 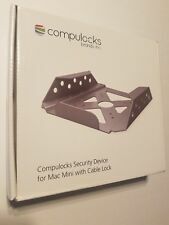 Excellent lock and cable for industry-standard physical computer security slots. Product Type Security Lock. T-bar lock for secure locking into security slot. Easy to install -- Does not require glue, brackets, or screws. Kensington, The Professionals Choice for device security for nearly 25 years, has produced the latest standard in device security the MicroSaver 2.0 Keyed Laptop Lock. Engineered to be Kensingtons smallest, strongest lock for laptop and other devices, the MicroSaver 2.0 represents the next generation of laptop security. Yubico pioneered the creation of the FIDO U2F and FIDO2 authentication protocols along with Google and Microsoft. The YubiKey is designed to protect your online accounts from phishing and account takeovers. Colour of product: Black, Material: Steel. - Watch employee compliance rates rise! Theres no excuse for computers and data being left unprotected. Ports: x 2 25 Gigabit Ethernet Ports. Manufacturer: HP. Device Type: Network Adapter. This product is compatible with the following Generation 9 HP Proliant Servers Form Factor: Plug-in Card-Low Profile. System security kit. Product Type: System security kit. APC Kryptonite Combination Lock. APC Kryptonite Combination Lock Security cable lock. A2-1, #8496. Combination Lock. Security cable lock. (Lot of 5). Generally Priority or Parcel select. Extra cost for Overnight or Air. Tech Data Product Data Sheet - Maclocks The Ledge(MBALDG01KL). Maclocks The Ledge - system security kit. Designed ForApple MacBook Air (11.6 in,13.3 in). Eikon Fingerprint Reader for Windows 10 Hello Login - TCRD4C - HOLIDAYS SPECIAL! Supports the new Windows 10 Hello, as well as various applications on Windows 8 and Windows 7. Easiest and most secure way to unlock and sign-in to your windows laptop or desktop. Available for sale in single and bulk quantity. New Kensington USB Port Lock with Square Cable Guard K67720US. These locks intent is to deter data theft by “locking” USB ports. One key per lock. Lot of 10 -. This is to protect you and us from Credit Card fraud. Batterien dürfen nicht in den Hausmüll gegeben werden. Sie sind zur Rückgabe gebrauchter Batterien als Endverbraucher gesetzlich verpflichtet. Die Hidden Pin™-Technologie macht Zylinderschlösser durch die gesteckten Stifte manipulationssicher und bietet damit größtmögliche Sicherheit. 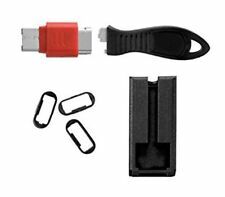 Kensington MicroSaver Laptop Notebook Lock NEW. Protect the priceless data on your ultra-slim notebook with the Microsaver® Security Cable. A sleek new version of the original MicroSaver. Microsaver's patentedT-Bar. Compulocks MBPR13BRWEDGE Specifications. Manufacturer Part Number MBPR13BRWEDGE. Manufacturer Compulocks. Manuf Part# MBPR13BRWEDGE. Product Type Cable Lock. How Does it Lock?. Cable Length 6 ft. Check outOnlyKey International Travel Edition. - Professional Grade Encryption. The Precise 200 MC is a combined fingerprint and smart card reader, benefiting from the best in both technologies. USB Interface. If your computer is unlocked, your network is too. Protect your network and laptop with the original cable and lock device that attaches to the Kensington security slot. Look for corporate custom-keyed solutions for your whole team.